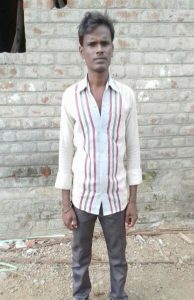 “My Name is Dinesh Kumar. I have a sister whose name is Anthonyammal. We belong to a poor family. With great difficulties my sister helped me to finish higher secondary education. I wanted to go college but my sister could not afford to send me for further studies. But luckily she was a member of a mothers group called Semparuthi which is one of the mother group formed by Nandri. She contacted the field staff and told her about my educational ambitions and the financial needs that I was facing. Nandri came to my rescue and gave me an Educational loan to pursue mu college studies. I finished my B.com Degree course successfully. I also finished ITI one Year course successfully. Next PostNext Drumsticks making an educational and nutritious addition to Nandri!